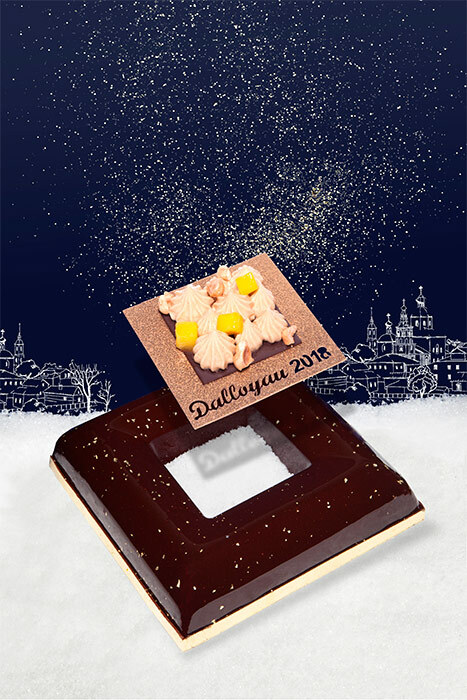 For Christmas, Yann Brys (so good #8, upcoming so good #19), Nicolas Bouche, and Jérémy del Val have come up with a holiday card full of new creations. 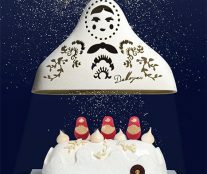 On the podium, the Kukla bûche, limited edition and hidden inside a spectacular Russian doll of white chocolate. 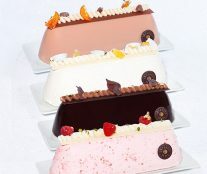 Covered with milk chocolate, its base consists of a dulce de leche scented with green lemon and an almond meringue, and at its core we find a financier, a mango-passion fruit compote, and a Madagascan vanilla. 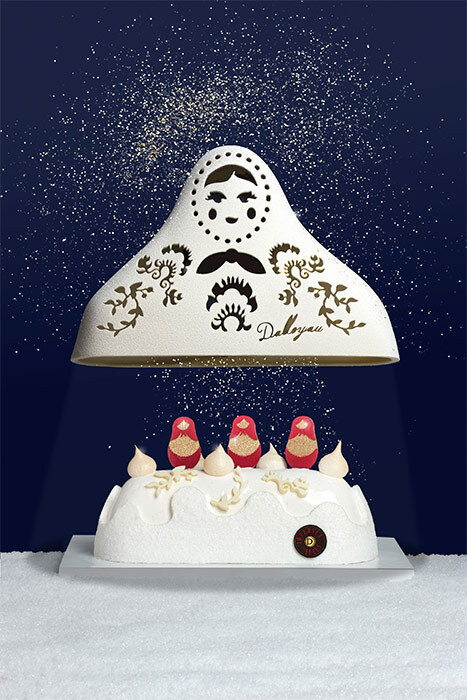 Continuing with the Russian theme, it is decorated with small white chocolate matryoshkas and meringues inspired by the palaces of the country. 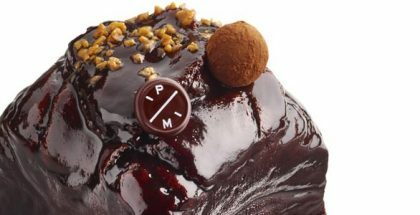 But it is not the only log that Dalloyau customers can try in the coming weeks. 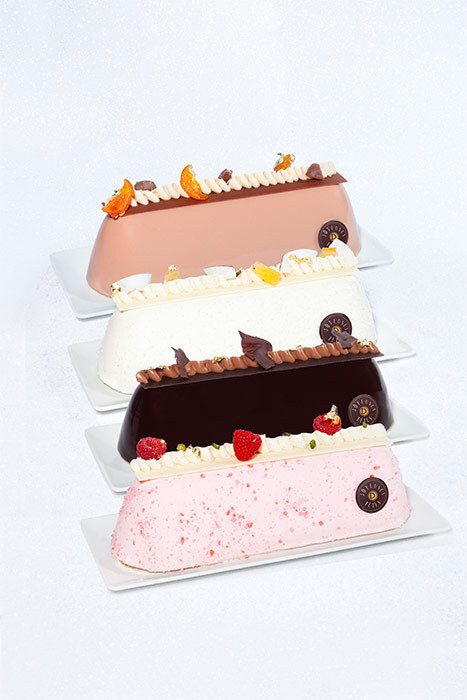 There is the option of ordering one of their bûchissimes: Intense Marron d’Ardèche et Orange, Exochic Ananas-Coco, Subtile Chocolat de Madagascar, and Exquise Fruits Rouges et Pistache Bronte de Sicile. 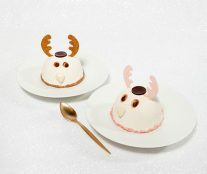 And for those who prefer entremets, the chefs of the Maison propose two very amusing pieces that will fascinate animal lovers: a male reindeer consisting of 46% milk chocolate mousse from the Dominican Republic, a creamy heart of sweet chocolate and a chocolate sponge cake, and a female reindeer with strawberry compote inside, raspberry sponge cake, and white chocolate mousse with Bourbon vanilla from Madagascar. 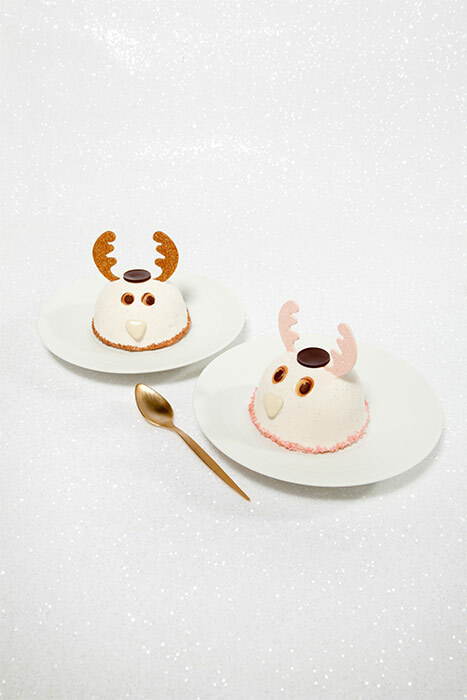 Once the holidays are over, we have to say goodbye to the year in style. 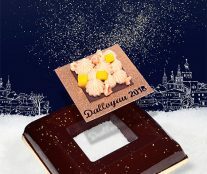 In Dalloyau it is done with an entremet for gourmets, Trésor Passion, made with 55% pure chocolate from Brazil, the result of a double fermentation where cocoa beans have been perfumed naturally with passion fruit.